There are plenty of Facebook groups out there dedicated to craft beer, but we don't know of many that have had a beer brewed and sold commercially, as happened with the South West Craft Beer Bogans (SWCBB) last year. One of the founders of the group, which has been embraced by the local beer industry in the region of WA it celebrates, is Jamie Reeves, who was introduced to good beer by a mate who's now head brewer at Bootleg Brewery. 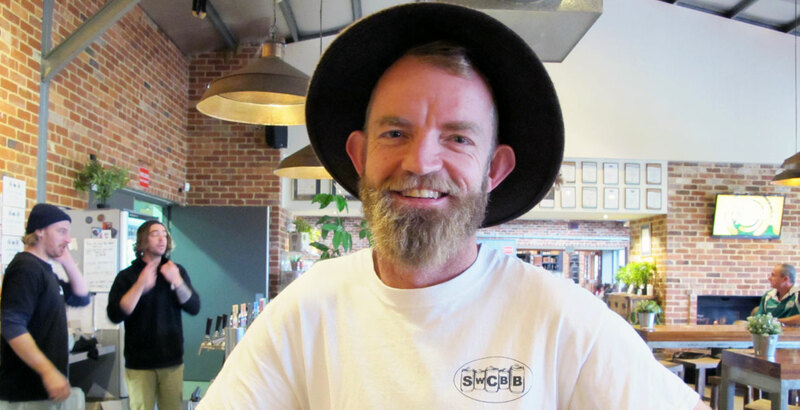 Guy Southern caught up with him on a recent trip to Margaret River to find out more so we could feature him in our Beer Nuts series. I’m an assistant manager of an orchard. I am a proud South West Craft Beer Bogan (SWCBB)! This is a Facebook group I set up with a mate about four years ago to try and promote the amazing local beer hitting the craft beer scene. I’m pretty proud it has taken off, with over 1,100 members. 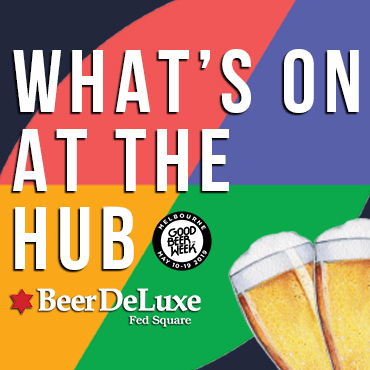 We even have local breweries, bottleshops and bars using it to let the locals know of their current range and beer events. But the group also has just your average drinker posting their thoughts on what they are drinking. It’s become a great community, so I am happy to call myself a beer bogan. Probably 14 years, since doing a bit of work down at Bootleg Brewery. I am going to blame my mate Ryan Nilsson-Linne (Pizey), who is the head brewer down at Bootleg. He dragged me out to the Freo Beer Festival and I feel in love with good quality beer. I use the South West Craft Beer Bogan Facebook and Instagram pages to document any decent beers that I drink and also try and encourage other members to do the same. My "reviews" are always full of grammar and spelling mistakes, so if I can post, anyone can! The Braeside Crown Cola from Boatrocker – it’s a bourbon barrel aged scotch ale that I had at Petition in 2016. It had so much going on, the 300ml goblet was just screaming out with rich, sultana-y flavours. Reminded me of a Belgian ale. Still to this day I can’t understand how good it was. But, locally, Rocky Ridge’s Rock Juice, which is a New England IPA. It has some of the best combination of hops that I have ever had in an IPA, with beautiful haze and a subtle sweetness to it. Growing up in Bunbury I have drunk a lot of bad beer; I can’t put a finger on the worst… This is part of the reason we set up the Bogans page – to try and get more people drinking quality south west WA craft beer. About 25 – basically, it is all I wear. Yes. Our theatre room is the only place my wife will let me put anything beer wise. So I have three shelves of empty bottles and cans of some of my favourite beers over the last five years. I am going to say about 2,000… but I can’t remember them all… especially the ones tried at the end of the night at GABS. Without picking favourites, what beers do you feel best represent the South West WA beer scene at the moment? Basically, the South West pale ales, like Eagle Bay Pale Ale and Cheeky Monkey Pale Ale. It showcases the chilled out, surfing culture of the South West. When people head south, they often want an easy drinking ale and this style hits the nail on the head. It’s also great to see it being stocked in so many bottleshops around Australia and getting the South West name out there. Being Winter, I am so excited for all the dark beers that are coming out. I’ve tried Bootleg’s Raspberry Porter, Margaret River Brewhouse's Cream Panther and Cheeky Monkey’s Silverback – all cracking beers ready to be drunk by the fire overlooking a South West Beach with your Uggies on. My dream would be to head over to America and try Pliny the Younger from Russian River Brewing Company. It’s a IIIPA that is only made once a year and served at the brewery on the first Friday of February each year. Meant to be mind-blowing, but also gives me an excuse to travel around the US trying a heap of beer. What's great about the South West WA beer scene? The beauty about the South West is that everyone involved in the craft beer scene, from brewing to supply to hospitality, is super friendly and supportive of each other. It would be easy to imagine the small market to be competitive, but everyone’s end goal is for people to just drink good quality beer – there can’t be a loser in that. You can read other Beer Nuts Q&As here.